SEATTLE (Aug. 8, 2014) – Opened in 1998 as part of the original restaurant and retail mix of downtown Seattle’s Pacific Place shopping center, Gordon Biersch Brewery Restaurant was one of the city’s early micro-breweries. To recognize the restaurant’s 15-year anniversary, and to honor the brewing team led by head brewer Kevin Davey for being named Small Brewery of the Year by the Washington Beer Awards in June, Gordon Biersch Seattle is hosting a day-long public celebration on Tuesday, Aug. 19. The celebration will also showcase a newly remodeled bar, dining room and private event space. Gordon Biersch Seattle is located at 600 Pine St. Ste. 401, on the top floor of the Pacific Place shopping center. To entice the public to be part of the celebration and as homage to the year they opened, Gordon Biersch Seattle is offering $0.98 beers and $4 growler fills all day on Aug. 19. The restaurant hours that day are from 11 a.m. to 11 p.m. The celebration will also include live music in the evening and regular happy hour offerings from 3:00 to 6:30. Head brewer Kevin Davey leads the brewing team at the restaurant and has been recognized previously for his outstanding work. In April, his Winter Bock won the Gold Medal for Traditional German-Style Bock at the World Beer Cup in Boulder, Colo. And in addition to the Small Brewery of the Year recognition from the Washington Beer Awards, Davey’s team received four other Washington Beer Awards for 2014, including 2 Golds and a Silver in the three lager categories. Prior to assuming the head brewer role at Gordon Biersch Seattle, Davey brewed beer at Chuckanut Brewery and Kitchen in Bellingham and at Firestone Walker Brewing in California. The renovation of the Seattle Gordon Biersch includes an expanded private events space with a new private event bar. The space can accommodate groups of up to 140 guests. The 9000 square-foot restaurant is also available for full buyouts for groups of up to 400 guests. The renovation includes the addition of new carpeting, tables, chairs and decor. Gordon Biersch offers a diverse selection of contemporary American dishes drawing from regional products and accented with bold flavors. The Seattle menu includes Gordon Biersch classics like the Legendary Garlic Fries and Kobe Sliders, as well as favorites likeWoodford Reserve Bourbon Local Sockeye Salmon, 10 oz. Knife & Fork Burgers and a wide selection of Flatbreads. All entrées are designed to complement Gordon Biersch’s signature German-style beers. On the day of the grand reopening, the restaurant will offer six freshly brewed Signature Gordon Biersch lagers on tap: Golden Export, Hefeweizen, Czech Lager, Märzen, Schwarzbier and the seasonal Hochzeitsbier. The Seattle Gordon Biersch also offers a wide selection of mainly Northwest wines. 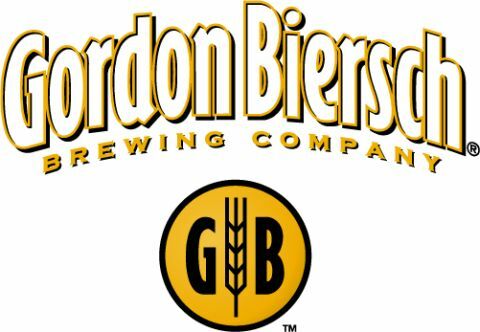 Gordon Biersch is internationally acclaimed for its authentic German-style lagers, all brewed according to the exacting standards of Reinheitsgebot (Rine-HEIGHT-ska-boat), or the German Purity Law of 1516. Gordon Biersch uses only the highest-quality Weyermann malt from Bamberg, authentic Bavarian Hersbrucker hops and pure, filtered water, delivering a range of well-balanced crafted lagers. Brewers handcraft the lagers onsite in stainless steel brewing tanks showcased behind glass windows. The Seattle Gordon Biersch Brewery Restaurant is open seven days a week, offering lunch, dinner and bar dining, from 11 a.m. until 11 p.m. Sunday through Thursday, and from 11 a.m. until 12 a.m. Friday and Saturday. Happy Hour and Late Night feature both food and beverage specials. Happy Hour is hosted Monday through Friday from 3 p.m. until 6:30 p.m. and Late Night hours are Sunday through Thursday from 9 p.m. until close. Reservations and private parties are accepted and encouraged. For reservations or further information, call 206-405-4205.